Showfield is the latest custom home community to emerge along the scenic Gills Neck Road corridor. Located just outside historic downtown Lewes, this iconic 132 acre community features 166 home sites reserved for truly custom homes. A beautiful natural pond and the Junction Breakwater Trail border this exquisite community. A historic barn on the property will be preserved, keeping Showfield in line with the historic charm of downtown Lewes. Other amenities include community clubhouse with fitness center, great room and bar, resort style pool with cabanas (converted original horse stables), wooded walking trails and four additional ponds. Lewes Beach, Cape Henlopen State Park, downtown restaurants and shopping are only a half mile away. Showfield is quickly becoming the premier neighborhood in Lewes. 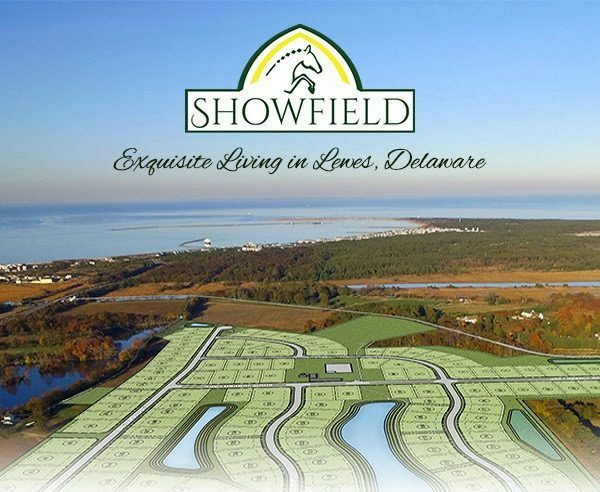 The difference between our company and several of the other builders offering homes in Showfield is that The Lewes Building Company does not offer a limited line of production or tract style homes with finite options. Our homes are truly custom from design to delivery and reflect the style, individual selections and aesthetic of our valued clients. Visit our Plans & Designs page for a glimpse of just a few of the custom home plans we feel are well suited for this historic coastal area. When considering your next home, please consider building a truly custom home with The Lewes Building Company!